Today Biblio Links welcomes author Susan Van Hecke! 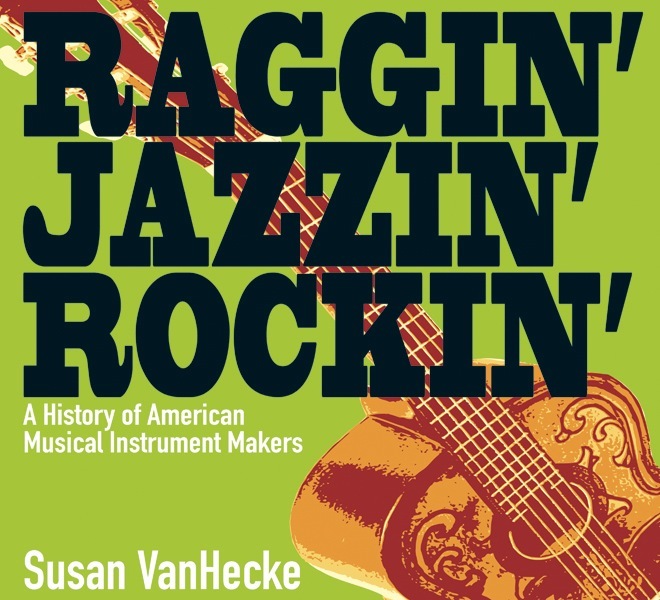 Susan’s non-fiction book Raggin’ Jazzin’ Rockin’: A History of American Musical Instrument Makers takes a behind-the-scenes tour of some of America’s best-known musical instrument manufacturers, from Zildjian cymbals and Fender guitars to Steinway pianos, Ludwig drums, Moog synthesizers, and more. Packed with rare photos and fascinating info, Raggin’ Jazzin’ Rockin’ offers a backstage look at the enterprising individuals – many of whom weren’t even musicians themselves – who became some of the greatest names in the business of making musical instruments. For a sneak peek, visit the book’s website: http://www.ragginjazzinrockin.com. The book is absolutely gorgeous–chock full of colorful photos with captions and sidebars. The conversational prose is in manageable chunks, ideal for reluctant readers. An author’s note in the back includes books, articles, and websites for music fans to explore. A portion of the proceeds from the book go to http://www.supportmusic.com, an organization that supports music education. Biblio Links: If we were to peek into a classroom where a teacher is using your book in a lesson, what might we see? Susan Van Hecke: If the teacher had gone to www.RagginJazzinRockin.com and downloaded the handy discussion guide, you might find students exploring immigration and the nineteenth century’s “Great Migration” to the United States (most of the instrument makers profiled in the book were immigrants to this land of new opportunities), life during wartime (many of the instrument makers were impacted by or even directly involved in American war efforts—who knew? ), or the secrets of stunning business success (most of the instrument makers were ordinary people of humble means who built extraordinary brands). Biblio Links: A student walks into my library and I think, That kid needs a copy of RAGGIN’, JAZZIN’, ROCKIN’. Who is this kid? Susan Van Hecke: Raggin’ Jazzin’ Rockin’ appeals to students with an interest in music—maybe they take piano or guitar lessons (they’d love the chapters on Steinway pianos, Hammond organs, Moog synthesizers, or Martin and Fender guitars), perhaps they play drums in a garage band (they’d dig the chapters on Ludwig drums and Zildjian cymbals), or perhaps they’re part of the school orchestra (then the chapter on Conn band instruments would be right up their alley). But with all of the fun sidebars about the science of musical instruments and the instrument makers’ impact on American cultural evolution, the STEM crowd, social studies fans, and history lovers will have plenty to enjoy, as well. 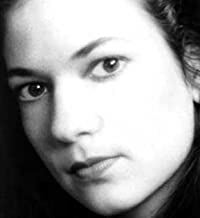 Susan Van Hecke:To learn more about Raggin’ Jazzin’ Rockin’, visit www.RagginJazzinRockin.com. To learn more about me and my other books, stop by www.SusanVanHecke.com. Click here for the glowing reviews and awards. This entry was posted in middle grade, music, non-fiction, young adult and tagged Civil Rights, Cynthia Levinson, WE'VE GOT A JOB. Bookmark the permalink. I have an ongoing research with eminent Filipino musicians. I have a feeling that is is a book they’d enjoy. Thanks for sharing! Your project sounds intriguing, Myra. Thanks for stopping by! Thanks for the review. I will have to take a look at this one! Glad you enjoyed it, Ms. Yingling. The book really is gorgeous and informative–definitely worth taking a look. What an interesting title…I’ll have to check this out! I love the title, too, and kids love to say/sing it. 🙂 Thanks for stopping by, Tara!